Pregnancy is a period of joy and expectation for any woman and her family. It is a heart breaking situation for any Gynaecologist when the news has to be broken that the baby is no longer alive in the uterus or the mother has given birth to a dead child . This is a complicated scientific topic. Gynaecologists who treat such cases require compilation of all their knowledge and experience to evaluate the woman, whether she is pregnant right now or if she comes with history of previous stillbirth and is planning to conceive in near future. Fetal death means death, prior to complete expulsion or extraction from the mother of a product of human conception irrespective of the duration of pregnancy and which is not an induced termination of pregnancy. The death is indicated by the fact that after such expulsion or extraction the fetus does not breathe or show any other evidence of life such as beating of the heart, pulsation of the umbilical cord or definitive movement of the voluntary muscles. In due course of the discussion of this topic, many causes (Clinical Situations) of Stillbirth will be discussed. 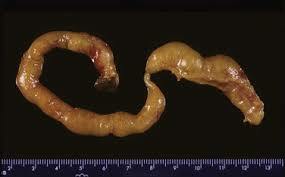 Some of them are responsible for fetal mortality in all three periods of gestation. At the same time, for any case of fetal death, many factors may be responsible. 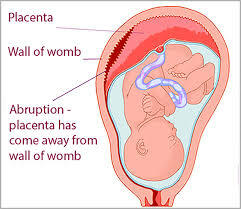 Placenta is the structure which is attached to the uterus and supplies food and oxygen to the fetus through umbilical cord. It gets its supplies from the mother. Various factors lead to its insufficient working. 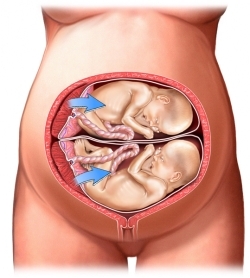 In this clinical entity placenta gets detached from its attachment to uterus. 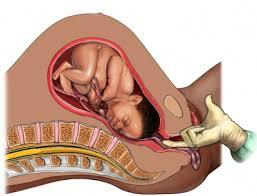 This results in stoppage of blood supply to the fetus and fetal death occurs. -Stricture – This is structural abnormality of umbilical cord in which shrinkage of cord occurs at some point & cessation of blood supply occurs. There are certain genetic abnormalities which result in major structural abnormalities in the fetus. These abnormalities are incompatible with life. -Diabetic ketoacidosis- Diabetic mother can develop this metabolic dysfunction. Blood sugar levels are high and insulin levels are low. Maternal cells are unable to utilize this sugar. This is a life-threatening situation for both mother and baby. If pregnant woman goes in labor and delivers prematurely before the fetus has reached term and is capable of surviving independently. 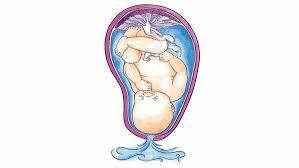 Amniotic membranes make up Amniotic sac which is a covering around growing fetus to keep it safe inside uterus. 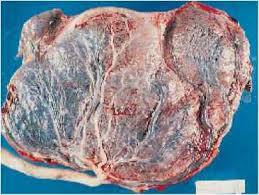 If these membranes get broken due to some reason, Amniotic fluid (Fluid around fetus) gets drained resulting into Umbilical cord getting compressed between walls of uterus and fetus. This results in cessation of Oxygen supply to the fetus and ultimately fetal demise. There are certain infections involving fetus and placenta which will lead to fetal death. Gynaecologists come to know about these risk factors either during examination or history taking. When one or more of these risk factors are present, vigilance on part of both patient and doctor is required. -It is beneficial for maternal psychological adaptation to a significant loss. She is grieving and may be thinking of herself as guilty. -Clinical examination at the time of birth-It is found that up to 35% of stillborns have major structural anomalies. Some have Dysmorphic features (Distorted facial structure). Some may have skeletal ( bone) abnormalities. Weight, head circumference and length of fetus is also measured. The event of stillbirth is traumatic for mother & her family. She is at increased risk of mental depression. Regular visit to the Gynecologist is advised. -Delivery -at 39 weeks or earlier is recommended. It can be an induced labor or Caesarean delivery depending on the clinical assessment of mother and fetus at that time.